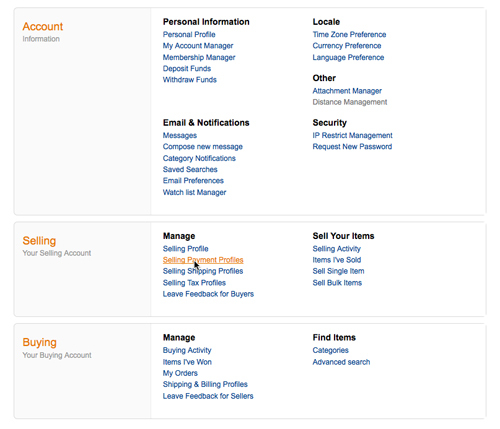 Sellers will use My Account to access and set up payment and shipping profiles, these tools will make it easy for sellers to save their preferred payment and shipping methods for future transactions. Select and save the preferred pay methods which will show to buyers as payment options during order and checkout. 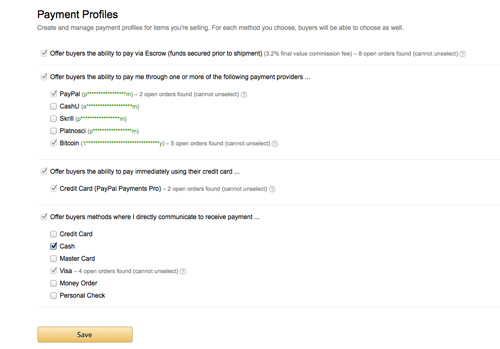 The payment methods the seller saves will show up on the front end to the buyers as choices for payment methods.